Broward Health Medical Center in Fort Lauderdale, Fla.
Broward Health's top administrator has officially dropped the interim from her title. The Fort Lauderdale, Fla.-based public system's board voted Wednesday to name Beverly Capasso its president and CEO. Capasso has served in that role on an interim basis since May 2017. Capasso is one of five current and former Broward Health officials named in a December 2017 Broward County grand jury indictment for allegedly holding private meetings to discuss kickback accusations against former interim president and CEO Pauline Grant. Grant was ultimately fired on Dec. 1, 2016. Capasso faces second-degree misdemeanor charges for violating and conspiring to violate Florida's Sunshine Law. For its part, Broward called the investigation "predetermined, biased and manipulated from the start." Capasso came out on top in the health system's national, year-long search that included more than 375 applicants. Commissioners voted four to one in favor of Capasso. Commissioner Nancy Gregoire said in a statement that she made the motion to approve Capasso based on the improvements she's seen in the system within the past 18 months. "As long as I'm on this board, I hope we will continue to improve," she said. Broward Health has endured both federal and state investigations regarding corruption claims. In September 2015, the health system agreed to pay $69.5 million to settle allegations that it illegally paid nine doctors for referrals. Former Broward CEO Dr. Nabil El Sanadi died by suicide in early 2016. 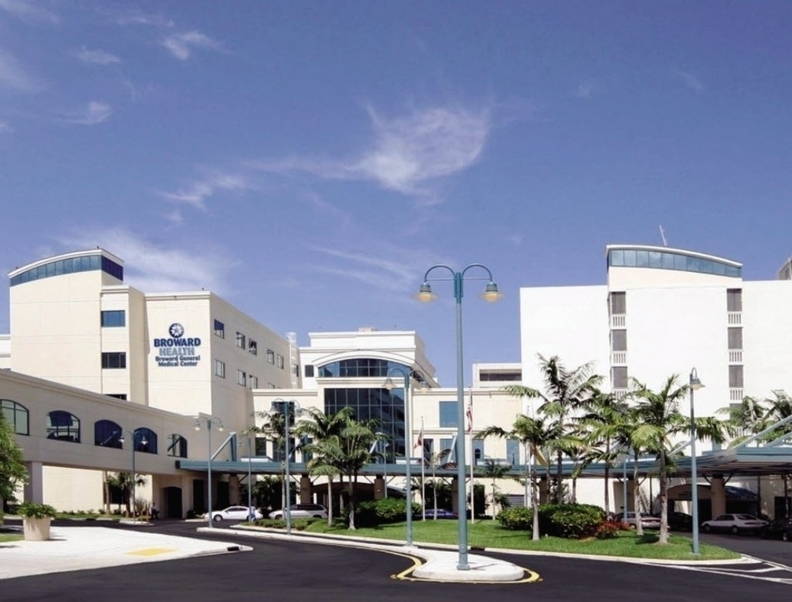 Broward's Board of Commissioners of the North Broward Hospital District considered public input from community leaders and the system's medical and leadership teams during two meetings held Wednesday. At those meetings, five people spoke in support of Capasso's appointment and one spoke in opposition, Broward spokeswoman Denise Moore wrote in an email. All five commissioners participated in the meetings. Capasso previously served as CEO of Jackson Memorial Hospital in Miami and has held senior management positions at Cleveland Clinic Florida in Weston. She also served as chief nursing officer at Miami's North Shore Medical Center. She has years of experience working as a registered nurse in critical care and emergency departments. Capasso said in a statement she is honored to accept the position. "We have stabilized Broward Health and will continue to stabilize Broward Health for our patients and our community and for the 8,000 employees of Broward Health," she said. Broward Health drew roughly $1 billion in operating revenue in fiscal 2017 and incurred nearly $1.2 billion in expenses, resulting in a $149 million operating loss. The system saw a similar operating loss of $152 million in fiscal 2016.